Kane Stuart Williamson (born 8 August 1990) is a professional cricketer and currently the captain of New Zealand. Considered as one of the most innovative batsman in the modern era, he is a right-handed batsman and occasional off-spinner. As of 20 December 2016, he is the fourth ranked batsman in Test cricket. Domestically he has represented Northern Districts in New Zealand domestic cricket, the Sunrisers Hyderabad in the IPL, and Gloucestershire and Yorkshire in English county cricket. Williamson made his first-class debut in December 2007. He made his U-19 debut against the touring Indian U-19 team the same year and was named captain of the New Zealand U-19 team for the 2008 U-19 Cricket World Cup. He made his international debut in 2010. 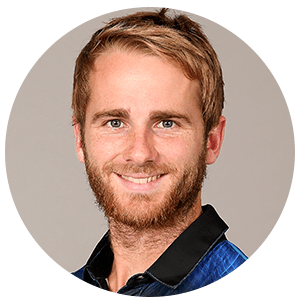 Williamson has represented New Zealand at the 2011 and 2015 editions of the Cricket World Cup and 2012, 2014 and 2016 editions of the ICC World Twenty20. He made his full-time captaincy debut for New Zealand in the 2016 ICC World Twenty20 in India. Williamson attended Tauranga Boys' College from 2004–2008 where he was Head Boy in his final year and was coached by Pacey Depina. Depina described Williamson as having "a thirst to be phenomenal – but not at anyone else's expense." Williamson signed for Gloucestershire to play in the 2011 English county season. On 14 August 2013, he signed for Yorkshire for the rest of the season and subsequently signed to return for the 2014 season, when his side won the County Championship. He signed to return the latter part of the 2015 season, but when incumbent overseas player Aaron Finch was not selected for the Australia ODI squad, Yorkshire ultimately chose to extend Finch's deal in place of Williamson. He subsequently signed a deal for part of the 2016 season. On 6 February 2015, Sunrisers Hyderabad of the IPL signed Williamson for US$96,500. Williamson was 17 when he led the New Zealand Under-19 side in the World Cup in Malaysia in 2008. New Zealand reached the semi-final where they lost to the eventual champions India. On 24 March 2010 Williamson was named in the New Zealand Test squad for the second Test against Australia, but ultimately he did not play in the match. Williamson made his one-day International debut against India on 10 August 2010. He was dismissed for a 9th ball duck. In his second match, he was bowled by Angelo Mathews for a second ball duck. He scored his maiden ODI century against Bangladesh on 14 October 2010 in Dhaka and hence became the youngest centurion in New Zealand's Test cricket history. 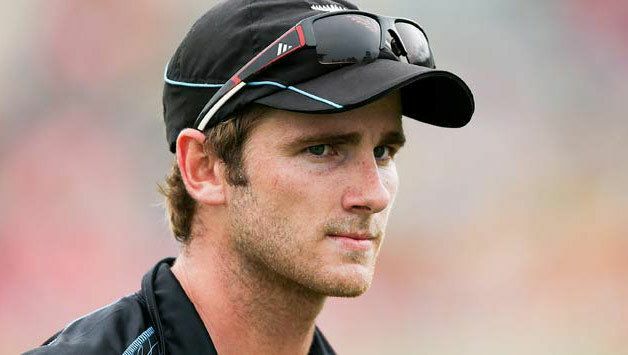 Due to his performance on the Bangladesh tour where New Zealand suffered a 4–0 whitewash, Williamson was selected in the New Zealand Test squad for the tour of India that followed. Williamson made his Test cricket debut against India at Ahmedabad on 4 November 2010. In his first innings he scored 131 runs off 299 balls and became the eighth New Zealand player to score a century on Test debut. Williamson scored test match score of 161 against West Indies in June 2014. It was his second test century of the series and helped secure a rare away test series victory for his side. Williamson finished as the leading overall run scorer in the series with 413 runs, and was denied a double century only by rain, which forced skipper Brendon McCullum to declare in the interest of obtaining a result in the match. He was also reported for a suspect bowling action in April 2014, but was cleared in December 2014. His illegal bowling action started after he left high school in order to get a faster release and turn on the ball. His new action essentially reverts him to his action in high school, with a more side-on approach and less wrist and elbow deviation. He was also named as captain ahead of the ODI and Twenty20 series against Pakistan as Brendon McCullum was rested. 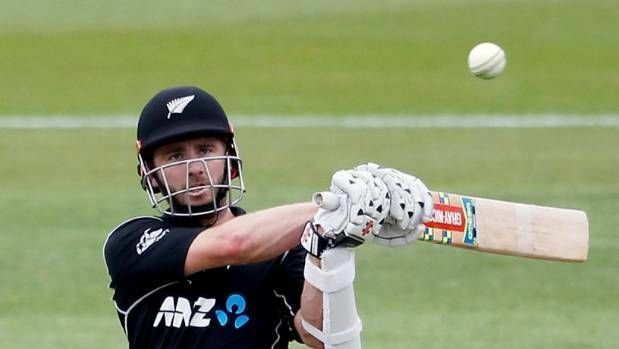 Williamson is currently third on the list (behind Corey Anderson and Jesse Ryder) for the highest ever strike-rated century by a New Zealander in a One-Day International. He achieved the feat during his 100* off 69 balls against Zimbabwe at Bulawayo. On 19 September 2014 he scored his first T20 hundred scoring 101* in 49 balls to guide Northern Districts for a comfortable win against Cape Cobras in Champions League Twenty20 2014. He has also established one of the most potent no. 3-no. 4 top-order partnership with Ross Taylor, with himself being the most prolific no. 3 batsman for the national side since former captain Stephen Fleming. Apart from Fleming (in 2006), Williamson (in 2015) became the most recent no. 3 New Zealand batsmen to score a double century in Test cricket. However, Williamson and Taylor were also involved in 12 run outs across all forms of international cricket as of 26 January 2015 when they are both on the crease. As a fielder, his position is predominantly at gully, but can move to point with spin bowlers, or cover point with fast bowlers. In 2015, he started with 69 and 242* against Sri Lanka, with two catches in the field in a man-of-the-match performance. On 3 February 2015, he helped New Zealand score the 99th ODI century in the team's history against Pakistan; Ross Taylor scored the 100th in the same match. He also scored over 700 runs before the 2015 Cricket World Cup in just the first two months of the calendar year. On 17 June 2015 he became the fifth-fastest batsmen and fastest New Zealander to score 3,000 runs, getting them in just 78 innings. On 15 November 2015 Williamson and Taylor became the first pair of away batsmen to each score 2nd innings centuries at WACA Ground in Perth. In December 2015, during the second Test against Sri Lanka, Williamson broke the record for the most Test runs scored in a calendar year by a New Zealander, with 1172 runs. He also ended 2015 with 2692 runs, the highest score across all forms of international cricket for the year, and third highest totals in a single year. In March 2016, Williamson assumed the position of captain of New Zealand across all forms of cricket after the retirement of Brendon McCullum, beginning with the World T20I cup in India. He also picked up NZ player of the year, Test player of the year and the Redpath Cup for top batsman in first class cricket for the second year in a row. In August 2016, during the Test series against Zimbabwe, Williamson became the thirteenth batsman to score a century against all the other Test playing nations. He completed this in the fewest innings, the quickest time from his Test debut and became the youngest player to achieve this feat. In the complete list of such batsmen, he has achieved this feat with minimum number of total centuries. On 10 March, 2017, Williamson joined Ross Taylor as joint second highest (first amongst active players) on NZ's Test century list, both one behind Martin Crowe. Williamson also took the least amount of matches to score at least 16 centuries at 26 years of age (Cook with 22, Tendulkar with 19, Steve Smith got his 15th after his 27th birthday) due to NZ's lean Test schedule. Williamson has a twin brother named Logan, who is a few minutes younger than him. The twins are the youngest of five children, and the siblings are girls. Kane and Logan have both excelled at several sports, including rugby, field hockey, basketball, volleyball, soccer and cricket. Williamson's childhood hero was Sachin Tendulkar. During the New Zealand vs Pakistan 2014 ODI series, Williamson donated his entire match fee for all five ODIs to the victims of the 2014 Peshawar school massacre.